KROTONTUR (Territorial Information System for Tourism and Culture) is a useful instrument created by the Municipality of Crotone for the touristic enhancement of a territory that goes beyond the municipal area. KROTONTUR, aims at proposing itself as a working tool for public administrations, for economic operators in individual and / or group, for those responsible for the use and the touristic development in the area and for those planning and designing tourist products. KROTONTUR also addresses directly to the scholar The researcher, journalist, student, etc., and to all those who work and / or study and / or research, and need to deepen their knowledge on tourist resources on the territory. KROTONTUR, finally, is not only a useful and necessary service, but also an important tool for the enhancement of the touristic reception. In fact, through KROTONTUR, tourists can freely access the information they need to plan in the best possible way and independently their tourist stay in the territory of Crotone. 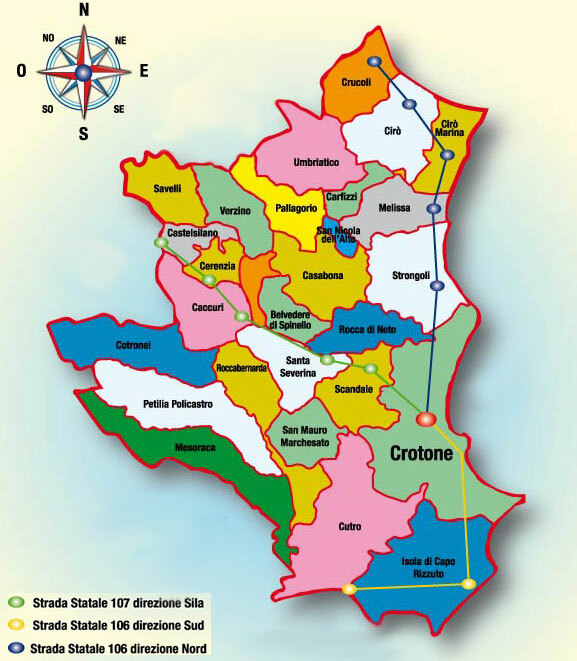 The Municipality of Crotone, is particularly grateful to the Ministry of Economic Development – Dipartimento per lo Sviluppo la Coesione Economica, and to work groups of the Province of Cosenza and the Development Aency of Heraklion (Crete - Greece) which, together with the work group of the Municipality of Crotone, have actively participated in the creation of KROTONTUR. Another heartfelt thank you goes to the many individuals and institutions that have cooperated in creating the information system. They are all asked to continue working together to upgrade, improve and enrich the contents of a useful and essential instrument to the development of tourism in the territory of Crotone.